How about a mid-week treat at one of top UK online Casino? BCasino is running their very popular Cashback Wednesday where players can get 5% back on their real money net losses every Wednesday. This is a grand opportunity for all players that are in the mood for some mid-week casino action and be able to benefit should the reels turn out in a disappointing way! The cashback is paid out in real money – no wagering requirements apply! How does the Cashback Wednesday at BCasino work? All members of BCasino are able to participate in the Cashback Wednesday. In order to qualify for the 5% cashback, players need to deposit a minimum of £100 and hit the reels at BCasino between 00:00 and 24:00 GMT. Cashback bonuses will be awarded by Customer Support on request. The minimum amount of cashback is £5 and the maximum amount is £2,000. Not a member of BCasino yet? Click here and get a £5 No Deposit Bonus as a new member! – This offer is available from 00:00 to 24:00 GMT every Wednesday. – The minimum Cashback amount is £5, and maximum Cashback amount is £ 2,000. – The bonus will not be awarded to players claiming another bonus on their deposit. – The Cashback is credited to your account as real cash. – The Cashback is withdrawable and there are no wagering requirements. – You may request Cashback every Wednesday for your real money net losses from that day. Click here and join BCasino and and get a £5 No Deposit Bonus and a Welcome Bonus Package worth up to £1,200! Please note that all online casino bonus offers advertised on this website are subject to their own terms & conditions and ONLY available for persons over the age of 18. Make sure to read the promotional terms & conditions carefully before you play. 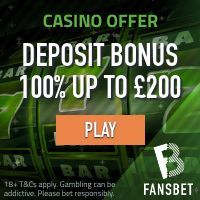 20 No Deposit Spins + 100% up to £300! 200% up to €/$500 + 100 Extra Spins! 20 No Deposit Spins + more! 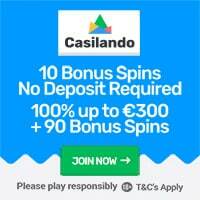 21 No Deposit Spins + 121% up to €/$300!